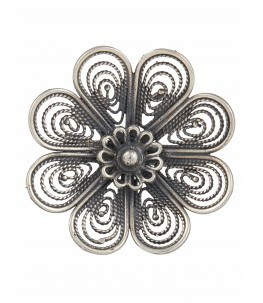 This chain has beautiful silver links that lend it a special heavy Baroque feel. It is sure to spruce up anything you wear, so don't worry about not wearing lavish jewellery. The curvy design enhances its appearance. Can be worn by both men and women. Made with 92.5 Sterling Silver.